My Mopsock is magic! Finish the vacuuming, wet the Mopsock, whip around the lino and tiles and chuck the used Mopsock in with the wash. Peg it above the tub and it's ready for next time. I love my mop sock! I have finally been able to replace my old, horrible mop that seemed to constantly need a new sponge. 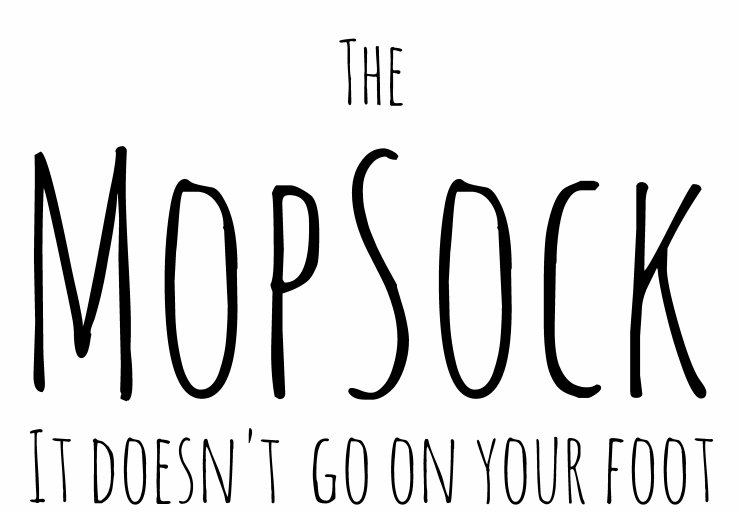 My mop sock is so easy to use and I love being able to just throw it in the washing machine when I am finished. It is also FANTASTIC for cleaning windows with, especially those high ones ! Thanks MOP SOCK. I love my Mopsock! Not only because it is so quick and easy to give the floor a good thorough mop, but also because it is so handy for cleaning up quick spills (a regular event with kids in the kitchen...). Just rinse under hot water and use the mopsock like a sponge to clean spot areas on the floor (as opposed to using your sponge from the bench which we are all tempted to do when in a hurry, but of course not a very hygienic option)! Then throw the mopsock in the wash for next time. You know the most amazing thing about your product is how clean it comes out of the washing machine. I have no idea how you manage it when every other cleaning product always comes out of the wash looking grubby. Thank you for creating this idea otherwise I would mop even less than I do now! It's great- only use it on the end of my mop. Does a fabulous job and easy if you don't have much time , you can have a quick flick around! I have also used it just as a cleaning cloth on the sink and bath. Certainly my best cleaning cloth purchase.